WLCU-Edmonton holds a number of events annually. Announcements about current WLCU events are posted on our Home Page and event details will be posted on our Calendar. 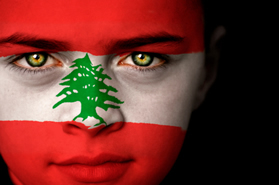 An annual celebration marking the independance of Lebanon from France. A marking of the anniversary of the Liberation of Lebanon from Israel's twenty-three year long occupation of the south of Lebanon in May 2000. The event will include: dinner, folkloric dance, and traditional Lebanese Dabke. A community event hosted by WLCU-Edmonton every summer for our members and their families, our volunteers and the wider community. As a service to the community, we offer a listing of events occurring in the city of Edmonton. If you would like your event to be considered for posting below, please contact WLCU-Edmonton.